A charming and hilarious rhyming picture book about a young misfit puffin who learns that it's OK to be different. The story is brought to life with colourful, characterful illustrations by Gabby Grant. Poor Lewis hates being a puffin. His brother Harris is great at catching fish, flying and doing puffin things, but Lewis just doesn't fit in. He longs for a different life, far away from the crashing waves and tall cliffs of the Firth of Forth. But what else can a puffin do? Then, 'Eureka!' Lewis finds the answer, and heads off to the circus to become a clown. He meets many incredible creatures: Carla Koala, Zorro the Highwire Cat, the Flying Blue Monkeys and Daredevil Pat. But when his act goes terribly wrong, can Lewis overcome his fears, find some confidence and save the day? A charming and hilarious rhyming picture book about a young misfit puffin who learns that it's okay to be different. The story is brought to life with colourful, characterful illustrations by Gabby Grant. "The story is told with a swinging rhythm and rhymes ... The illustrations are colourful and fun..."
Lynne Rickards was born in Canada and now lives in Scotland with her husband and two children. She grew up reading Dr Seuss books and as a result she loves writing in rhyme. Her picture book Pink! was nominated for a Royal Mail Book Award. 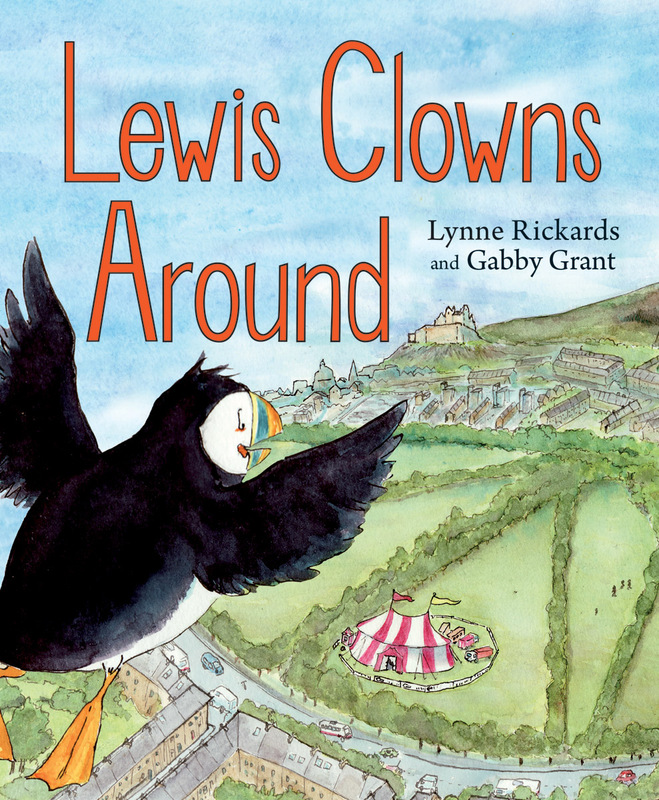 Lewis Clowns Around is her seventh picture book, and it holds a special place in her heart as the first story she ever wrote for her children. Gabby Grant studied illustration at Westminster University, London. She combines illustration with graphic design and prop-making for TV and film, and has worked on programmes ranging from Newsnight to Harry Hill's TV Burp. She is the illustrator of another Picture Kelpie, The Big Bottom Hunt by Lari Don. 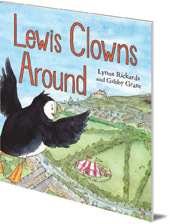 Lewis Clowns Around is in Floris Books' range of Picture Kelpie Scottish children's picture books. Parents of young children might also enjoy the dedicated Picture Kelpies website. Download and print out games, colouring and jokes for your children based on Picture Kelpie favourites, and find out more about these quality Scottish picture books to enjoy together.